School bells ring, are you listening? When kids have time off school in winter, they love the break — but often complain of boredom. This winter holiday season, why not keep the kids in your household busy, by inviting them into the kitchen, to help you cook up a batch of Christmas cookies, festive candies, or yummy comfort food recipes? You'll earn a reputation as the coolest mom ever when you let kids help you make these kid-friendly winter recipes and treats, that they then get to eat and enjoy. We've got everything here from a kid-tastic Hot Dog Tater Tot Casserole you can serve the neighborhood kids for lunch or dinner, to Rudolph's Nose cookies, Snowflake Marshmallows and more. Many of these recipes make awesome gift ideas for family, friends and neighbors, too. 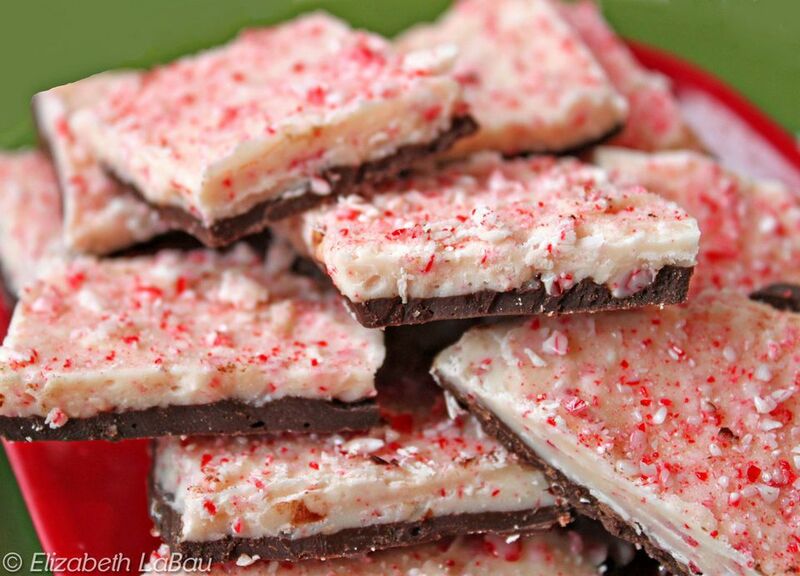 Peppermint bark is a classic holiday treat that's scrumptious, pretty and just fabulous for gifting. Who can resist dark chocolate, white chocolate, and the crackling crunch of minty candy cane bits? Best of all, you can make it in less than an hour, with only three ingredients. Makes a wonderful teacher gift or hostess gift during the Christmas holiday season. When you've got a house full of kids to feed for lunch or dinner this winter, make it easy on yourself and fun for them, by serving this kid-favorite recipe that you can prepare and pop into the oven to bake in just 10 minutes. Loaded with plenty of crispy potatoes, savory baked beans, hot dog chunks and melted Cheddar cheese, you're sure to become the most popular house on the block when you serve this dish to kids. Here's a fun and irresistible Christmas treat recipe that kids can easily help with. Make a giant batch of Candy Cane Popcorn to munch on during the holidays at home, or bag some as a great take-along gift when you're visiting friends and family during the holiday. Popcorn is coated in white chocolate and crushed candy canes for a sweet, minty treat that's a perfect party food or edible gift idea. Ideal as a munchie when you're watching your favorite holiday movie, too! What kid doesn't love the ooey gooey chocolate caramel goodness of Turtles? Turtle candies are a classic, beloved winter holiday treat that's often found in Christmas stockings. You won't believe how easy it is to make these decadent candies at home. You just need three ingredients to make candy that tastes just like the familiar pecan, caramel and chocolate treats that kids love to eat at this time of year. These melty little marshmallow treats are just the thing for decorating steaming mugs of hot chocolate this winter. Kids will adore these cute, soft and fluffy marshmallows that are cut into snowflake shapes to make their hot chocolate more fun! These sweet and sugary treats are also great for adding to a gift of homemade hot cocoa mix this holiday season. Chocolate Chip Pancakes may win the top prize for kids' favorite breakfast food ever. Give your kids a treat this winter when you cook up a fluffy batch of warm, pillowy pancakes, made extra special for kids with the addition of mini chocolate chips. Kids of all ages will love this Magical Reindeer Chow. Made from cereal, pretzels, chocolate and dried fruit, all coated with white chocolate and then dusted with glittery gold sprinkles, this Christmas holiday candy treat looks as fantastic as it tastes. It makes a pretty holiday gift too, packaged in cellophane bags and tied with ribbon. Kids will love munching on this treat and then leaving some out for Rudolph and his friends to enjoy! Don't rely on a box! It's such fun - and makes your kitchen smell so heavenly to make your own homemade gingerbread house at home, for kids to decorate this winter holiday season. With a delicious recipe for fresh gingerbread, links to Gingerbread House Instructions and helpful tips on decorating and storage, this is sure to become your go-to gingerbread house recipe that you'll use every year. Quick and easy to make with only four ingredients, including store-bought rotisserie chicken (or leftover cooked chicken), Chicken Quesadillas are one of the all-time kid favorite foods. They're a snap to prepare and make a great lunch or dinner for kids this winter, served with prepared salsa, sour cream and guacamole. Kids will have so much fun making and eating these cute little Popcorn Snowmen. Put these edible snowmen out on your holiday buffet table, as adorable accents. Or set up a table with ingredients and instructions for making them, as a great kids' activity at your holiday parties. This recipe makes one large snowman, or several smaller popcorn figures. Kids love chocolate, and they love Rudolph the red-nosed reindeer! Delight all the kids (and the young at heart) this year when you bake up a batch of these super-adorable Reindeer Nose cookies that are just perfect for Christmas parties and family gatherings around the tree. Scrumptious chocolate fudge balls are topped with candied cherries to make Rudolph's red nose, and then rolled in coconut for a magical, snowy winter effect. Whether you call this kid-friendly breakfast recipe "eggs in a basket" at your house, or your kids know it as "toad in the hole", once they've tried it for breakfast they're sure to ask for it again. For a tummy warming treat on lazy mornings at home this winter, cook up this surprisingly quick and easy breakfast that also delivers protein and minerals that busy kids need. Younger kids can help you cut out the hole in the bread, and bigger ones can even make this eggs in a basket recipe themselves. Watch their eyes light up when you serve this delicious chocolate pudding pie to kids. With a comforting, homemade graham cracker crust and an easy and rich filling made with instant chocolate pudding, this is bound to become a favorite recipe in your household. Top it with fluffy whipped cream for an extra special after-dinner treat. 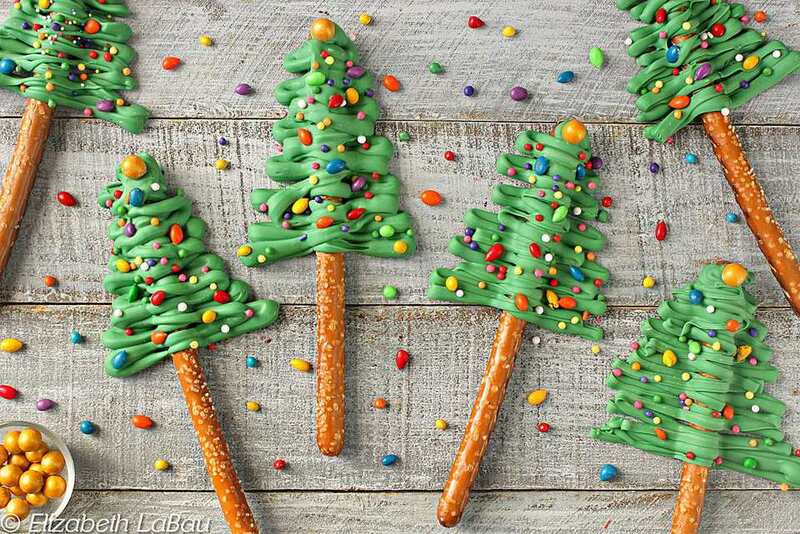 What could be better for munching on by the tree than these adorable Christmas tree pretzel snacks? This Christmas treat is super easy to create, with only two ingredients, plus whatever sprinkles or toppings you choose to add. Green candy is drizzled over store-bought pretzel sticks to make these cute, yummy, crunchy candy treats that kids will love to help you make and decorate. Kids love these tasty meatloaf "muffins" - and you'll love that you're getting a nutritious meal into kids as well. Easy meatloaf recipe is baked in muffin tins to create cupcake-shaped muffins that kids can easily eat on the go. Got some extra time? Make mashed potato "frosting" for the tops! No mousetraps needed here - these Chocolate Cherry Mice are chocolate and nut candy treats that are downright delicious! These edible chocolate mice made from chocolate-covered cherries and decorated with chocolate kisses and almonds will make kids smile for days. They're so easy to make with kids, because they don't require any cooking and only minimal assembly is needed. Enjoy them on their own, or use them to decorate all your chocolate cakes and cupcakes this winter. This classic sugar cookie recipe is so easy and makes your kitchen smell heavenly while it bakes. Kids love to help cutting out the cookies into shapes and decorating them with icing and sprinkles. It's a festive, favorite Christmas cookie recipe for kids and the young at heart. Every kid loves the gooey, melty, sweet taste of squares made from crispy rice cereal and marshmallows. This recipe that's made for enjoying at Christmas time takes the usual, yummy Rice Crispy treats and puts a special, festive spin on them. So easy to make, and with candy cane handles that make these treats fun to snack on, your kids will love to eat and decorate them.